It was great to write last week about the potential appointment of John Taylor as the next Chairman of the Federal Reserve, but that now appears unlikely. After meeting with the current Fed chair, the President declared there are five finalists and that he likes all five of them. Both Janet Yellen and John Taylor were on that short list. It’s hard to understand how anyone with a clear position on monetary policy would include both on the same list of finalists. Discerning Trump’s views on interest rates and the value of the dollar have been even more challenging than making sense of his foreign policy. Also on this list is a bona fide moderate. 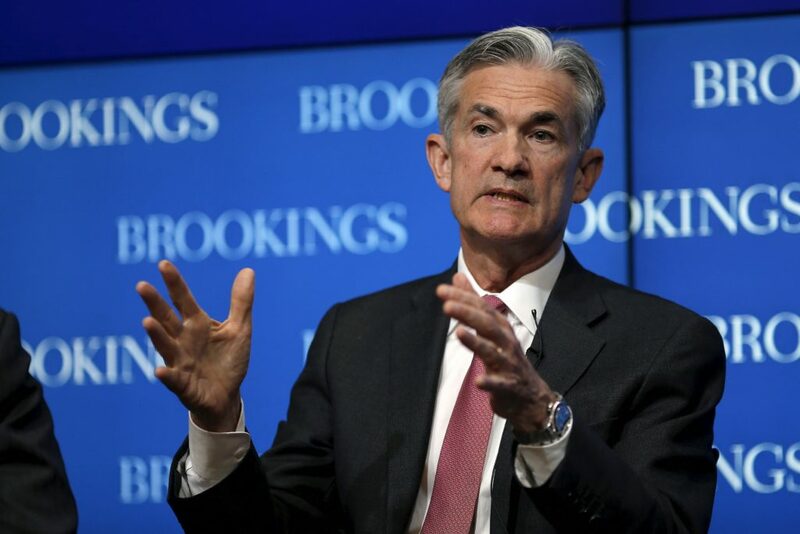 Jerome Powell (pictured above) stands as a centrist choice between the inflation hawks like Taylor and doves like Yellen. It’s now being reported that Powell has emerged as a favorite. It would appear that, in this policy area, no strong consensus among Republicans exists to prompt the appointment of a conservative in the same way there is with judicial appointments. In the Obama years, there was a strong Republican position on FOMC policy. The GOP wanted fewer dollars printed and Democrats wanted more. Like concern with the deficit, this appears to have largely gone out the window. Indeed those tend to go together when we increasingly rely upon the Federal Reserve to finance our deficit.